The Philippine Rice Research Institute advances its research and development operations in Agusan and Batac through recently completed new facilities. Abner T. Montecalvo, PhilRice Deputy Executive Director for Administrative Services and Finance, said the facilities are expected to enhance the station’s capacity in producing high quality seeds for the farmers and seed growers. “The new facilities will strengthen research functions of the branch stations, and ultimately address rice production concerns in their areas of responsibility through developing location-specific technologies,” he said. 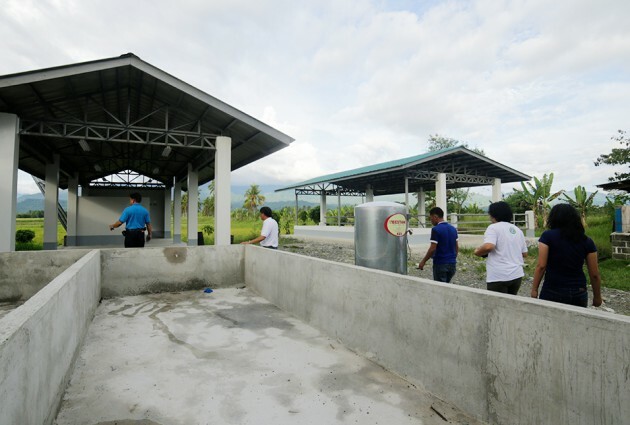 In Agusan station, a seed processing shed with fertilizer storage was established for seed cleaning processes for foundation, registered, and seed samples. An existing multipurpose shed is also being currently improved to accommodate larger volume of high quality seeds. The shed will also be used for large farmers’ gatherings. A new facility is also in-operations for mushroom production, vermicomposting, and livestock shed. Meanwhile, Batac branch now has a headhouse for seed technology, which will serve as processing and testing facility of rice seeds and varieties. The station had also set up a farm machinery shed to house rice farm machineries such as mechanical transplanter, hand tractor, and rototiller that farmers and farmers’ groups can rent under approved agreements. “We are focusing more infrastructure projects in the branch stations as they play a big role in seed production. For 2019, we allotted around P 15M and we hope to get additional funds from other supporting agencies,” Montecalvo said. -With reports from Allan C. Biwang, Jr.